An unlisted ‘bucket list’ drive. Wed 8th April 2015. I’m happy now I’ve seen the mysterious, invisible lake on the edge of the Derby village, having climbed the hill and gazed into the jaws of death (a minor exaggeration, but the cliff edge was a bit scary). Our Travel Australia adventure has already produced some amazing experiences as you may have read in previous articles and now we were looking at something entirely different. 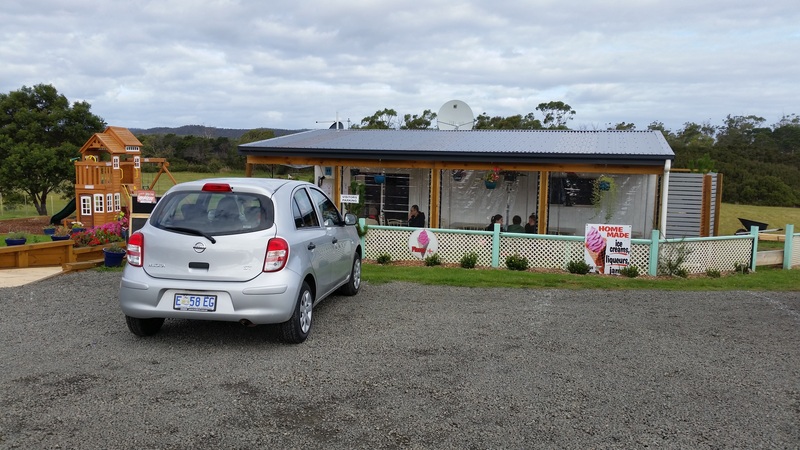 We have agreed to consider looking after a roadside ice-cream cafe, 11 kilometres south of Bicheno on the Tasman Highway in June after we complete our Hobart mission at the end of May. During the winter the business is essentially closed but still needs a ‘presence’ and today was the day to meet up for a coffee. A bucket list drive. Wow. It was overcast this morning, a few light showers had passed through but that means not a lot with weather gods so fickle. 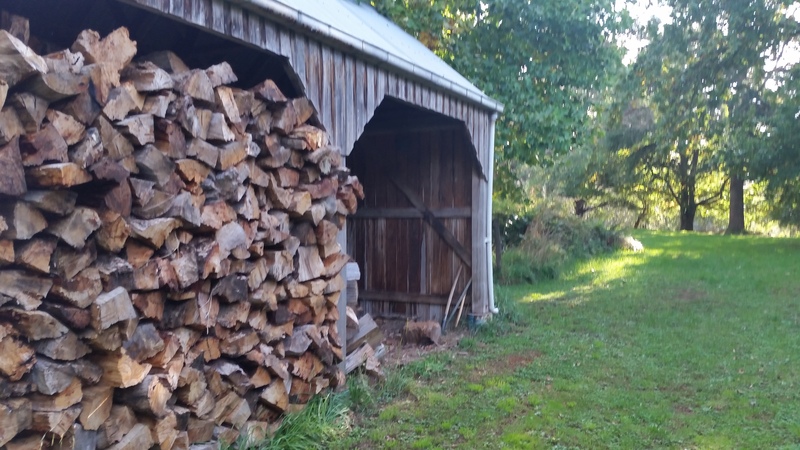 By the idyllic unhurried standards to which we have become accustomed this was an early start. By 9.15am we were on the road heading uphill to St Helens, a 70 kilometre run to the south east. This was a good test for the recent changes to the van, which include the new heavy-duty clutch, heavier oil in the engine and new steering. There was no improvement to the noisy overdrive in the gearbox despite some tinkering but I did not expect to see any, or in this case, hear any. 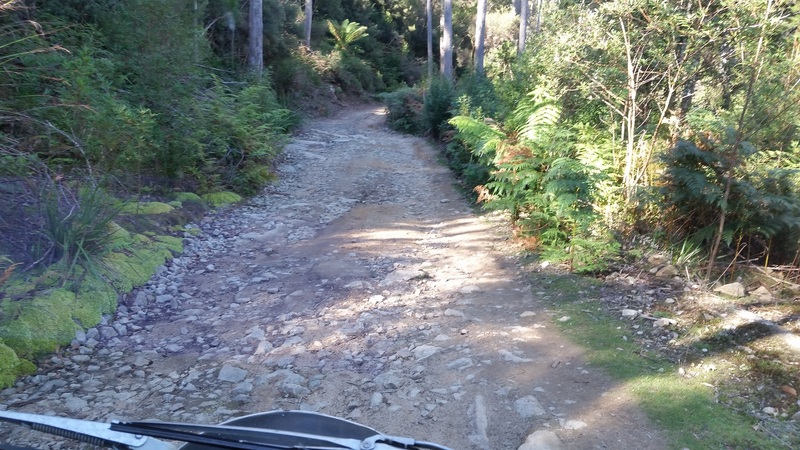 The road is not especially steep but it climbs steadily and is very winding through rainforest, finally reaching over 600 metres, close to 2,000 feet at around the half-way mark. Up here it is cold with a grey overcast sky and a strong southerly blowing directly into our windshield with the compliments of Antarctica. The hills to either side were not bare but it was obviously enemy territory for the larger trees with low scrub prevailing and brown grass between. Even at this moderate altitude, snow is common in the winter months and not a place I would want to be the rest of the year either. Along the way the road winds through a combination of mountain gullies, rainforest, deep green valleys and two small villages, about 5 ks either side of the pass. The first one, Weldbough is a proper village, very attractive, cute even. Mainly just the pub and the hall across the road but it looks like a place I could easily spend a week doing nothing. On the other side of the pass, Pyengana appears to be just a road house, but I understand there is a village not far off the Highway with a large diary processing centre. It is hidden down a minor road about a kilometre or so off the main road and is also host to ‘The Pub in the Paddock’. There’s never enough time for everything but this is one area worth allocating a few days or so to just ‘be’. We will return, we promise ourselves. While it’s less than 70 kilometres from Derby to St Helens, it took us an hour and a half to get there, partly because of the mountainous terrain and partly because I like a coffee, which unfortunately induces a few more frequent stops than would otherwise be the case. A simple matter of physiology, micturation in this case. St Helens has an attractive approach as the ocean looms into view just as you reach the outskirts or town. Maybe the 2100 residents run around a lot to fill the gaps but the town feels like a very much larger centre than it really is. 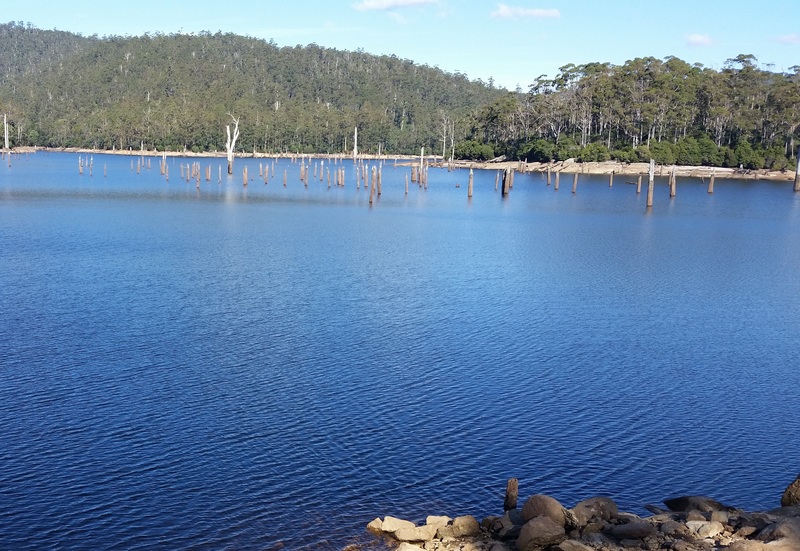 St Helens boasts a very appealing water front from which the local officials pronounce, it is the game fishing capital of Tasmania. Who am I to disagree? 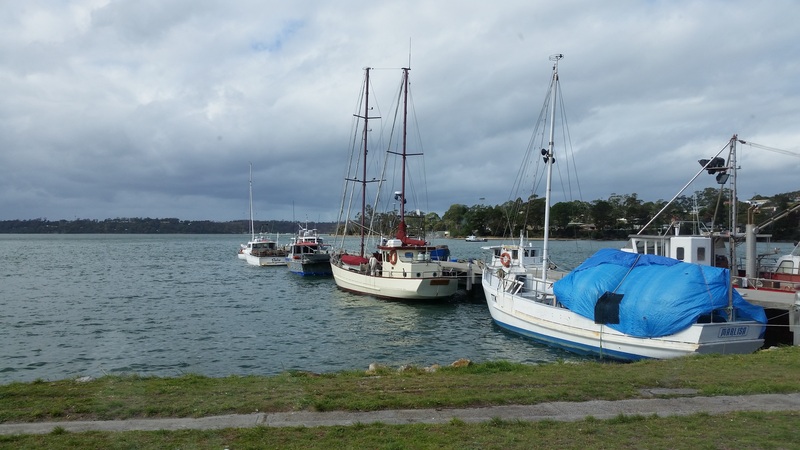 Now we had reached the east coast of Tasmania, we turned south for the next 70 kilometres to Bicheno. Gone are the mountains, this leg is straight along the coast line which makes for some spectacular views. The strong southerly that chilled our bones on top of the pass was still blasting its way across the ocean, making its first landfall on the rugged coastline in our windshield, offset 30 degrees to port. There was no possibility, with our little engine, that 100 kph was going to happen so we just punted along at 80 and enjoyed the show. The famous Great Ocean Drive in Victoria is spectacular it’s true but one is separated from it merely by its sheer grandeur. Here, on Tasmania’s east coast, it’s more personal, perhaps because you feel that this is no tourist drive, this is real. One has a sense of connection somehow. There was little chance of holding up traffic, there were so few vehicles and yes, I’d do it all again tomorrow morning if I could. The drive is almost uninterrupted save for the appearance of a small clump of newish houses in an area called Beaumaris. The residents live across the highway from the beach and have a wonderful view of nothing. Unless one has a penchant for low scrubby bushes, one might, as we did, have little trouble resisting the temptation to stop. Just a few kilometres further south we came upon the unfortunately named Scamander, in contrast a very attractive thriving little town with its own river from which it takes its name. The river was named the Borthwick originally but someone, presumably with a malicious sense of humour, renamed it Scamander in honour of his mother-in-law but I might have made that last part up. Aside from the name, it’s one of those places, one muses on a sunny morning, that ‘I could live here’. 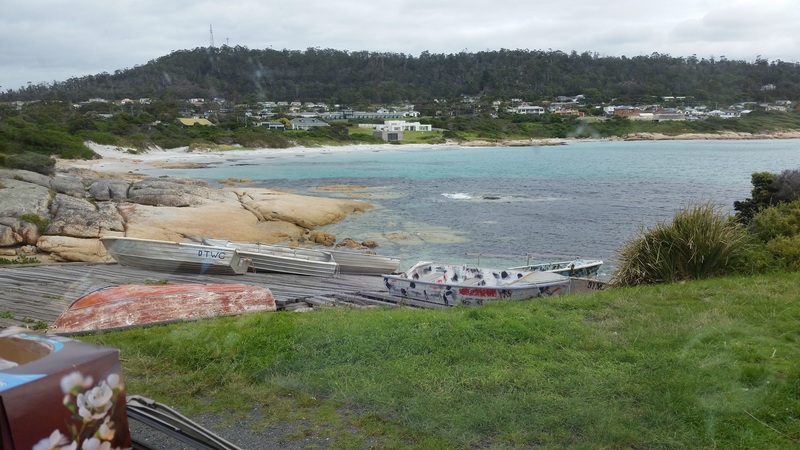 After what seemed a marathon, we pulled up in the moderately well-known and attractive town of Bicheno for fish and chips and parked on the waterfront which defined my memory of the place. We stayed in the motel opposite one night about 20 years ago. 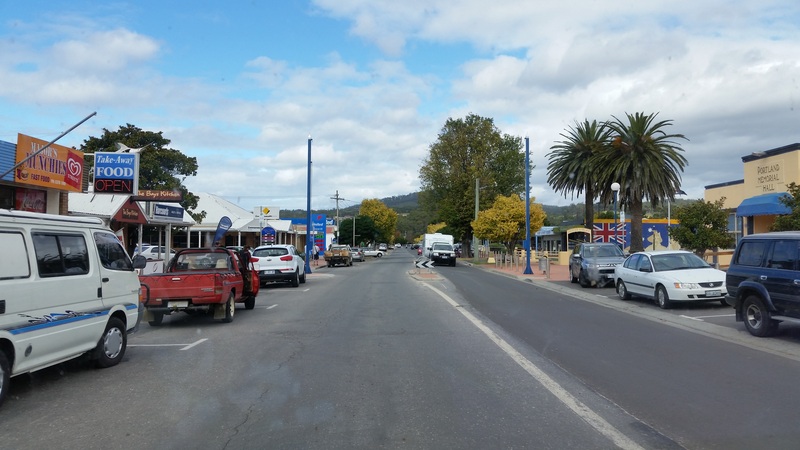 ‘Town’ is almost an exaggeration when considering the population is accounted for in hundreds, but it boasts a couple of motels, some new houses and the usual hodge-podge of takeaways and naive startups. Sated with fish, scallops, prawns and a few chips, I struck up a conversation with a couple of hardy souls using the picnic tables to organize their scuba equipment. They were braving the chilly breeze and diving along the rock walls, looking at seaweed I guess, although they claimed it was very interesting down there. I was in no position to argue. With a general, rough scheduled time of arrival pressing us, we took up the reins again to trundle off down the road to our destination for the day, the gimmicky-named Pondering Frog which retails boutique ice-creams, coffees and cherry-liquors. Before you think that is a long way to go for an ice-cream, remember our motive was to have a discussion with the owners Lester and Collette with a view to care-take the enterprise on and off during the month of June so they could take some time off in the low season. 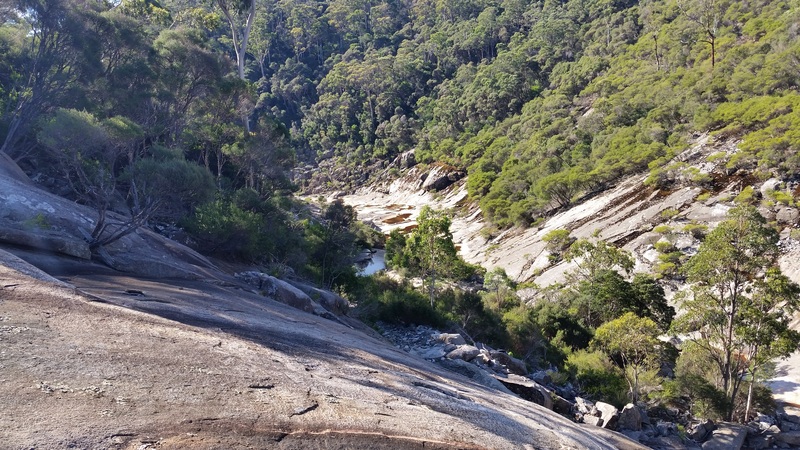 If it all goes ahead, we will be living for a while near the famous Wine Glass Bay, the climb to the lookout 20 years ago still etched in my memory. In fact it’s only 20 kilometres away, but we will save the re-visit to this beautiful place until we return in June. We spent a pleasant couple of hours getting to know our potential hosts and I’ll tell you more later. We couldn’t stay long as the drive home was best done re-tracing our steps and I have no desire to be negotiating the mountains in the dark. The gradually subsiding wind was behind us, so when the road was straight (once or twice) we cranked the old girl up to 100 kph. What a wonderful feeling, cruising along a beautiful shoreline with the wind at your back and another day ahead to savour one’s immersion into this uncrowded, largely unspoilt environment. By the time we reached the pass at the halfway mark, the wind had dropped completely. Where I had so cruelly commented this morning that no one in their right mind would want to spend more than 5 minutes, it was still, it was quiet, the setting sun was still warming the bushes and cattle were grazing the paddocks. It looked fantastic, so I take it all back. This day’s drive was in the Gold Standard class, worth putting on a bucket list. Have a drink Quinnie, my lovely girl. It was getting on dark when we were greeted by Tasmania’s three most accomplished, non-bovine related methane producers and found the wind (the other kind) had not only been battering the coast. It left its mark on our little corner of Derby by turning over a few items in the garden and snapping the umbrella pole. There are a few little things that we will remember of our fur-friends here aside from their happy dispositions and the remarkable Quinn who mouths a polite request every evening to watch TV and I suspect also has a sense of humour. Derby and surrounding villages have an unresolved potential health issue with a slight contamination to the water supply from the old lead water pipes. As any caring mum would, Liz makes sure that Kenzie, Cormack and Quinn get filtered water in their bowls. The task of looking after someone’s loved ones is a responsibility that we take very seriously, so every second day I’d carry 10 litres of specially filtered water up the stairs to refill the canine water supply. While I’m sure they all appreciated my labours , I just wished Quinni would wait until I was out of sight before so wantonly drinking the obviously more tasty water in the gutter and the pond. Now time was running short and we were in wind-down mode, getting the van and trailer ready for travel, cleaning and tidying, making sure when our hosts returned all would be in order as they left it. Just one nagging itch to scratch. I’d heard a lot about the dam that burst killing so many and sweeping away half the village in 1929 but I couldn’t find anyone who had been up there to see the one that was built after the disaster. A quick look at the satellite image shows exactly how the easily the tragedy had occurred that dark day afternoon in 1929. Vague hand waving ‘up there’ was about as much comment I garnered in general conversation so I resolved to get a look. 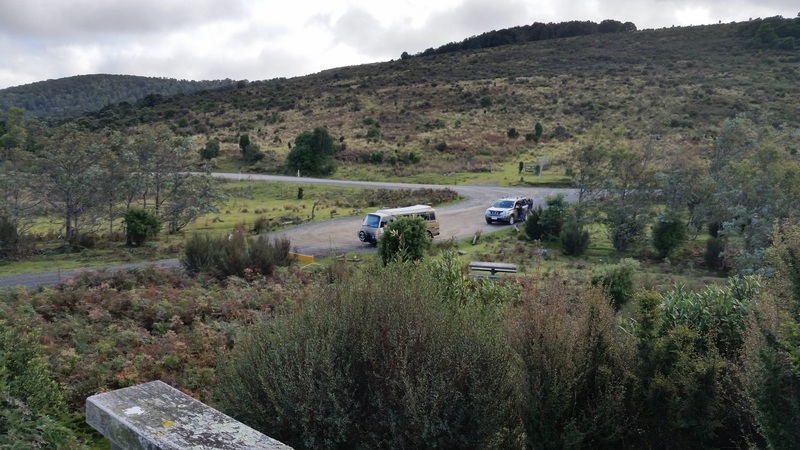 The turnoff to the dam was only 30 metres from home so with strong resolve I gently drove (well walked really) our faithful and valiant little Nissan Urvan up the hills and onto the rough 4WD track that wound its serpentine way across the hills above Derby. Progress was necessarily slow and cautious. Getting stuck would be bad enough but inflicting damage on our trusty friend so close to departure date would be embarrassing. As it happened I met no other vehicles on the mere three kilometres of scoured-out track which I covered at walking pace. After half an hour or so, I emerged in a small gorge with what was clearly a lake but no sign of the elusive Cascade Dam. I left the van on the track but with sufficient room for a vehicle to pass should some other intrepid individual have also found the need to venture here this day and walked the last 300 metres around the bluff to discover the old dam wall. It’s true this was not the most spectacular dam I have ever seen or the most photogenic but it had a special ‘something’ nevertheless. The concrete itself looks every bit of its 90 years, the construction giving the impression of having been done a long time ago even without the knowledge of the year it was re-built. 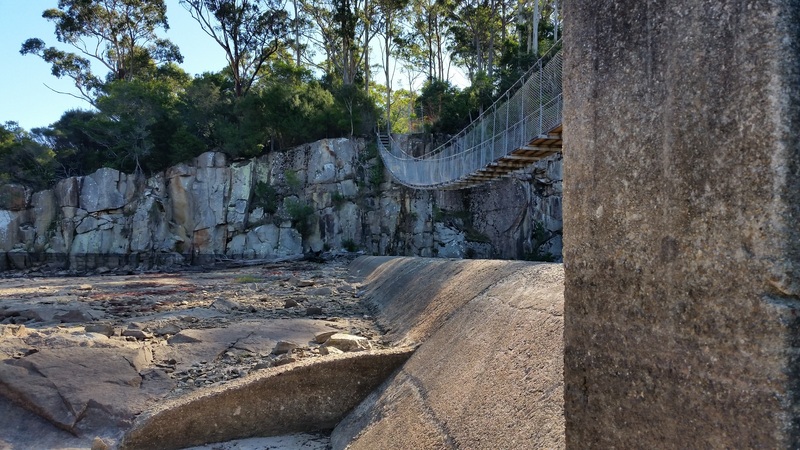 There was a walkway which only appeared to be in fair condition at best, strung across the dry, main spillway but closed off with a locked gate. No matter, I had no wish to tempt fate in this isolated corner of Tasmania. The Cascade Dam did not present a friendly invitation but just slightly gave up a feeling of potential danger while not being intimidating, more a feeling that one should be cautious poking around this sleeping presence. It was very quiet with just a trickle of water falling to the cascades below, smooth rock just below the spillway offering the visitor the temptation to move closer, closer, just a little further. The water surface was studded with dead trees that had somehow managed to stand for nearly one hundred years, perhaps testament to the claim that termites can’t swim. Really I have no idea why they are still there. I could see nothing to indicate an active underwater ecosystem but there was a reasonable flock of ducks and waterfowl in residence so apparently there is life here too, as one would expect. I was not wearing a jacket this sunny Sunday afternoon and it was pleasant walking around in the sun but shaded areas quickly reminded one that come nighttime, this place had all the warmth of a mother-in-law’s kiss. I was glad the van held plenty of warm clothing, should it be needed. A pleasant half-hour had passed and scratched my itch to see the place. In any case the sun was retreating behind the hills and there were a few steep and very rough patches to traverse on the way home. Half a kilometre along the way I met a tourist, which was a little inconvenient as there was little room for his huge 4WD and our trusty Urvan on the same corner. He looked astonished to see our incongruous vehicle here in tiger country but politely ignored that fact and asked how much further to the dam. He must have been scratching his head about that. Central to life over the last month in this district has been the Ringarooma River, always there in the background, popping up in the most unexpected places. We had just one more mission to complete. Our lovely Post Mistress had help from her mum Patti and she asked if we might be available at some future date to house-sit for her on the farm she shares with her partner John. This was our last chance, for a while anyway, to see the town that gave the Ringarooma River its name and we drove out on Wednesday afternoon to meet John on the farm. 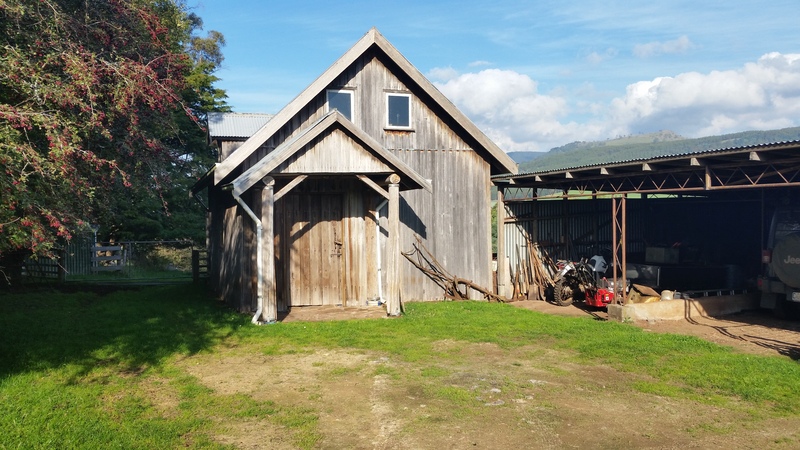 The hospitality came as no surprise and while the farm now is quite small, perhaps 100 acres of so, it was a model of tidy. In addition to the large comfortable rambling home, there were a number of smaller buildings and around every corner another surprise came into view. 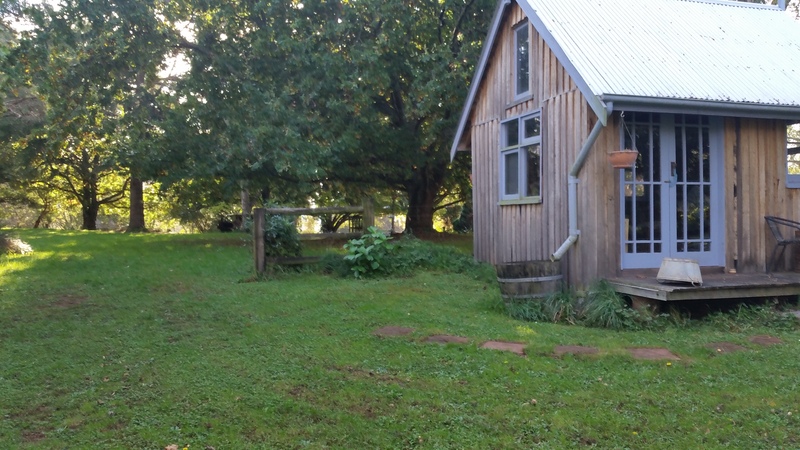 It could have been the poster child for a Zen Buddhist retreat, so peaceful and beautiful was this farm. Should the day come that John and Patti want someone to stay for a while, we will make a special effort to oblige. Our stay in Derby was brilliant, our first experience of being a local, participating in village life, far from the cities. The remedial work on our trusty campervan reduced time for my ‘work’ in advancing the Diary of The Universe poster and web site but no regrets about that either. Our planned mid morning departure came and went but we eventually gave our three house mates a final pat about 1pm. Now all we need do is decide where to camp for the next couple of nights before we take up our assignment in Hobart. I don’t want to annoy those who don’t read the articles so would you mind entering something (from a single word upwards as it suits you) into the comments section below? (Rude gestures allowed.) That way I can remove any ‘busy’ non-readers from the list and project all the lurve to you. Thanks. 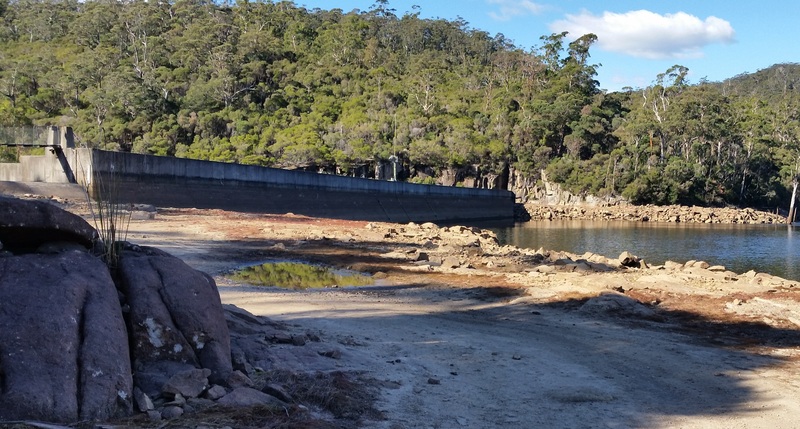 (If you’ve been to Bicheno I’d really like hear about it anyway, so feel free to comment on that too if you like). Thanks Richard, I must admit I’ve ‘havin fun’ doing them too. Been to Bicheno a few years ago when driving around Tasmania in our MG TC. Enjoyed a fabulous dinner of fresh crayfish. Love Tasmania and go there at every opportunity.